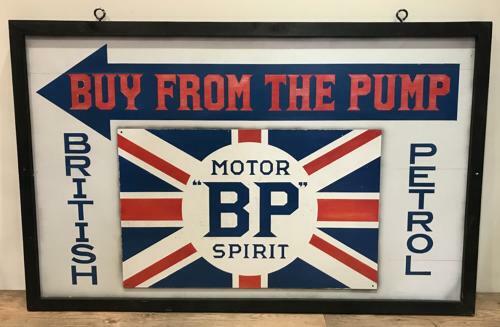 Vintage hand painted wood sign for BP Spirits. It came from a garage in Essex. 2nd half of the 20th century. Nice decorative item.